Wort being drained from the lauter tun to the kettle. This is the sixth installment in the All-Grain Brew Day Walkthrough, which started with a post on strike water preparation. Once you have mashed out and recirculated your wort, it’s time to start lautering. There are several questions you should answer before you reach the stage. For starters, how much wort are you going to collect? 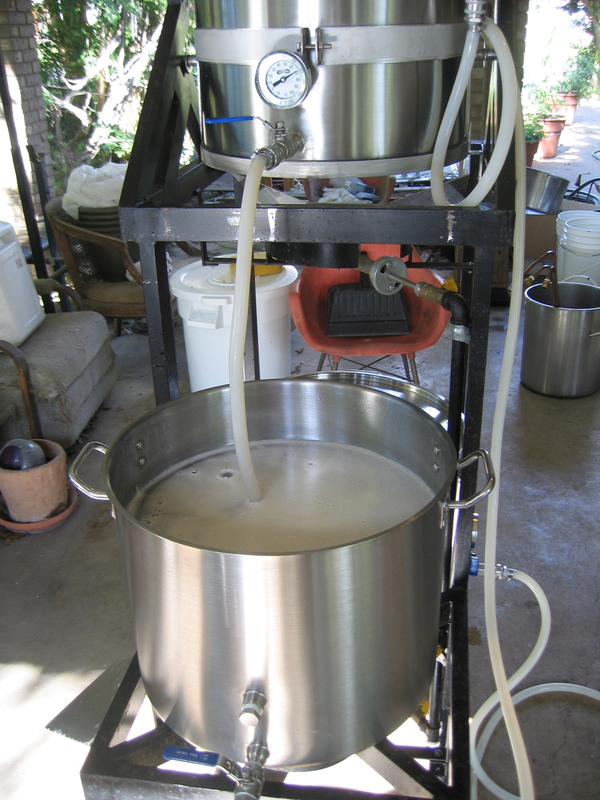 If you are continuously sparging, how quickly are you going to collect wort? What temperature should your sparge water be? 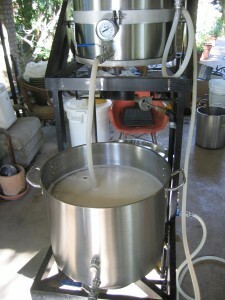 And finally, are there any other steps you should be performing while collecting the wort?